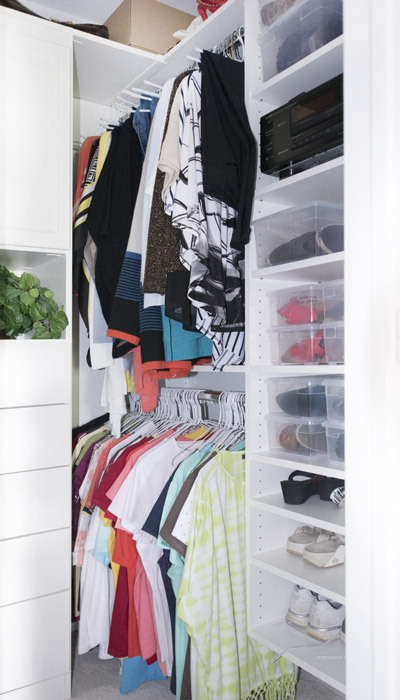 As a solution to getting more out of a compact space, Closet Works custom designed this small walk in closet system to effortly organize both a man and woman's wardrobe. Utilizing a symetrical design, the space is evenly divided into his and hers areas with double hanging space that reaches into the return, allowing for maximum storage of clothes. 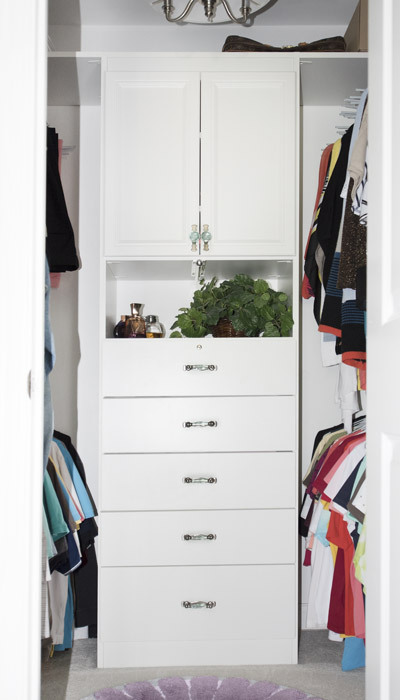 The center closet hutch incorporates both a cabinet and drawers, one of which is a locking jewelry drawer. 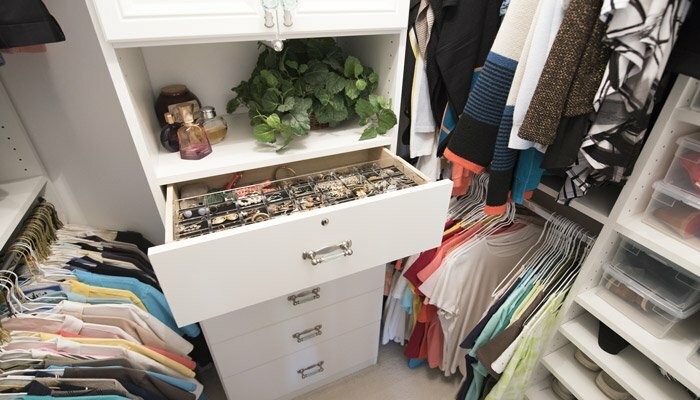 A hutch is a perfect substitie for a closet island when floor space is a concern — it offers similar countertop space for perfume, make-up, home decor, and more. 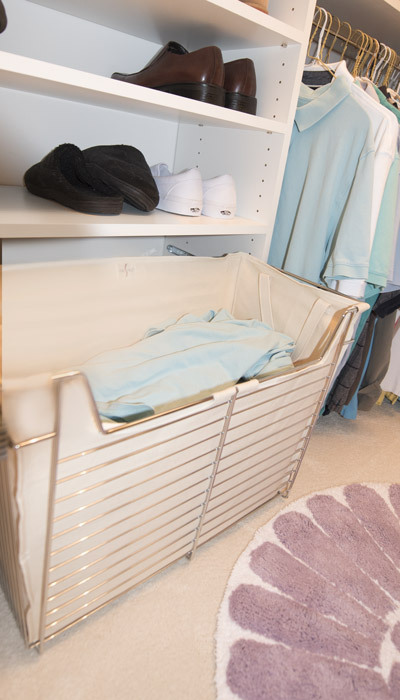 In order to eliminate the burden of a bulky laundry basket, a pull-out canvas-lined hamper has been provided. Shoes can be stored in the tall shelving unit optimized to hold multiple pairs of all sorts of footware. The unit is purposefully designed not to extend all the way to the ceiling — the overhead storage space creates space for luggage and bulky items that are infrequently used, but need to be stored none the less.